Arduino Blog » Haptic game controller UnlimitedHand joins AtHeart! Start your day with Nerf target practice! Haptic game controller UnlimitedHand joins AtHeart! We are excited to announce that UnlimitedHand is now an officially licensed Arduino AtHeart product. 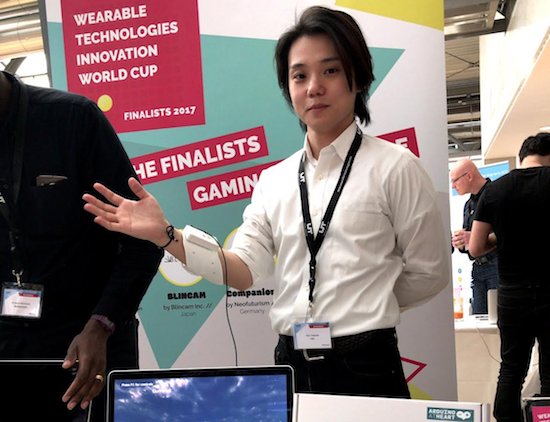 Created by Japanese startup H2L, the wearable controller straps around your forearm like an Ace bandage and allows you to actually touch and feel things within the gaming world. 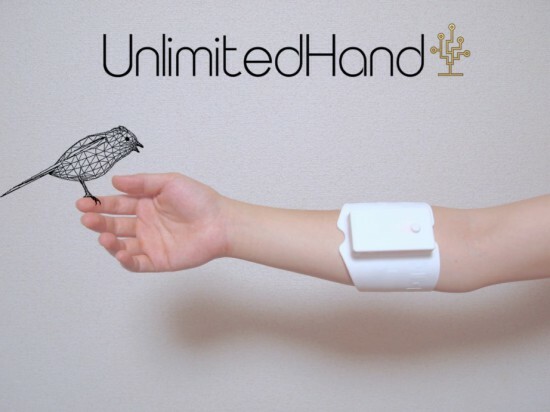 UnlimitedHand consists of a 3D motion sensor, an array of muscle sensors, a multi-channel electronic muscle stimulator, and a vibration motor, which together, enable you to interact with objects and characters in VR. It does this by syncing the movement of a user’s hand and fingers with its virtual counterpart, and contracting the muscles on the wearer’s forearm to simulate haptic feedback. With UnlimitedHand, not only will you be able to experience the ricochet of a gunshot or pet animals, but also hack various customized gestures thanks to its full compatibility with the Arduino IDE. Arduino, with their commitment to open-source, has reached out with their technology to muster a great force of Makers and inventors. This omni-present community has no doubt supported us in many ways during the development of UnlimitedHand. By joining the program, we can now present our results back to the community. UnlimitedHand–which surpassed its Kickstarter goal in less than a day–is now available for purchase on the Arduino online store and Amazon.